Home » Food » So, What DO Cherry Blossoms Taste Like? So, What DO Cherry Blossoms Taste Like? Around cherry blossom season in Japan, the shelves suddenly fill with “sakura”-flavored food. 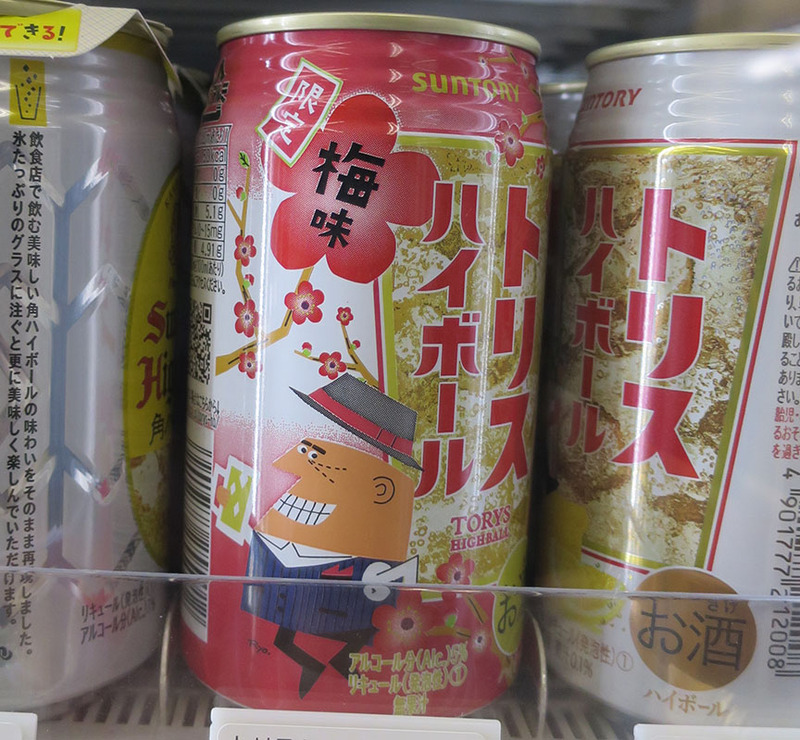 But what does cherry blossom-flavored food actually taste like? I investigate. 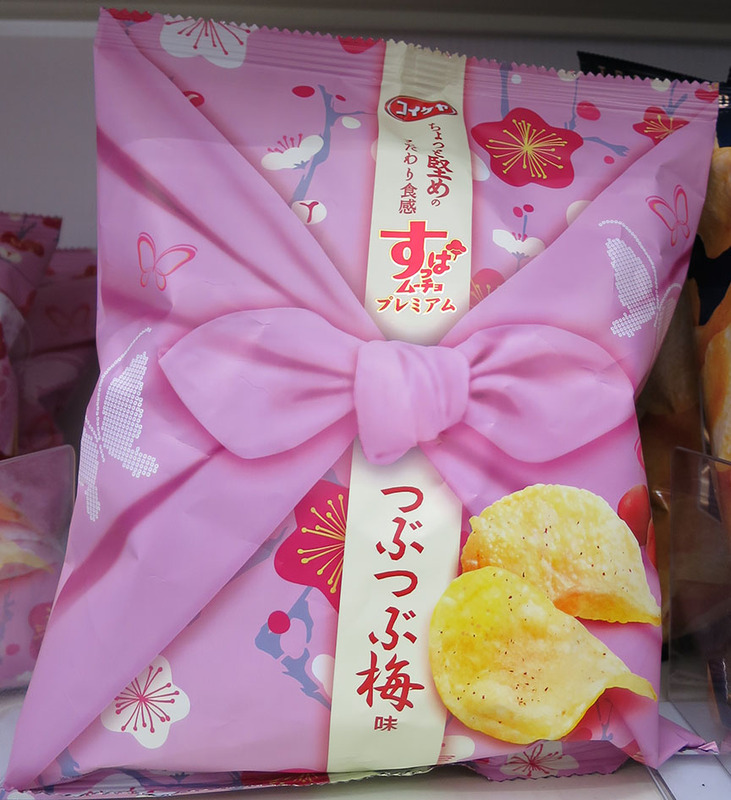 Cherry blossoms taste like…mini-shrimp potato chips. Cherry blossoms taste like…plum-flavored whisky & soda. Cherry blossoms taste like…pinkish berry combo gel and vanilla ice cream. 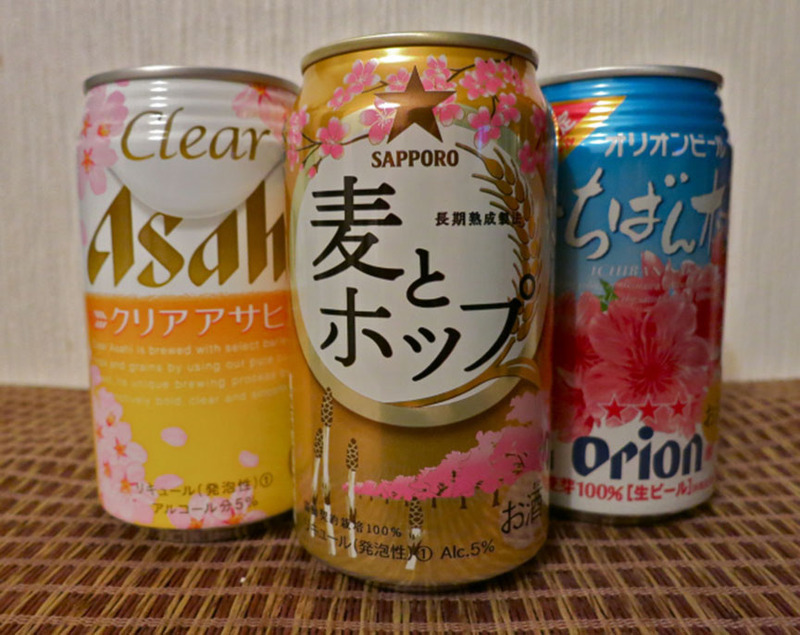 And of course, cherry blossoms taste like…beer. And all this time, I thought cherry blossoms just tasted like Pink. I like to think of it as different SHADES of pink. heh. 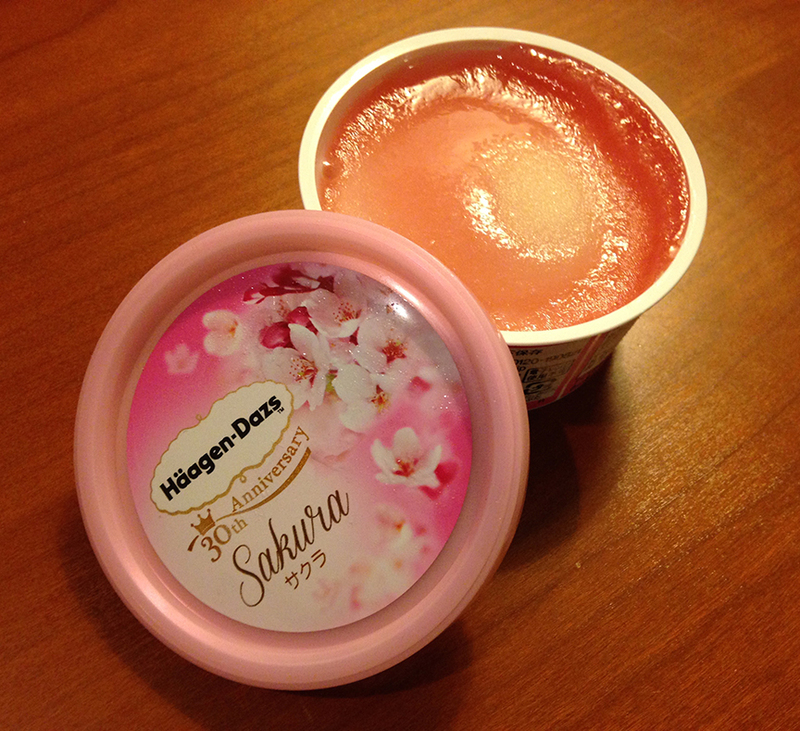 I always wanted to try the Sakura Haagen Dazs. It was actually better than I thought it would be. I haven’t tried the rose flavored on in my freezer yet, though. Kinda dreading that one! And hey, are you getting excited to be here? You're shipping out before the end of the month, right? I don't know when you'll first get leave to come into Tokyo, but it's just about an hour train ride from Yokosuka, I think, and you'll be arriving at a great time of year (not much rain, so you can frant about seeing all kinds of great stuff without getting your feet wet). So envious you get to be here for four years! Um, a few of the photos are things that are plum blossom flavoured? Or at least that’s what the kanji said. 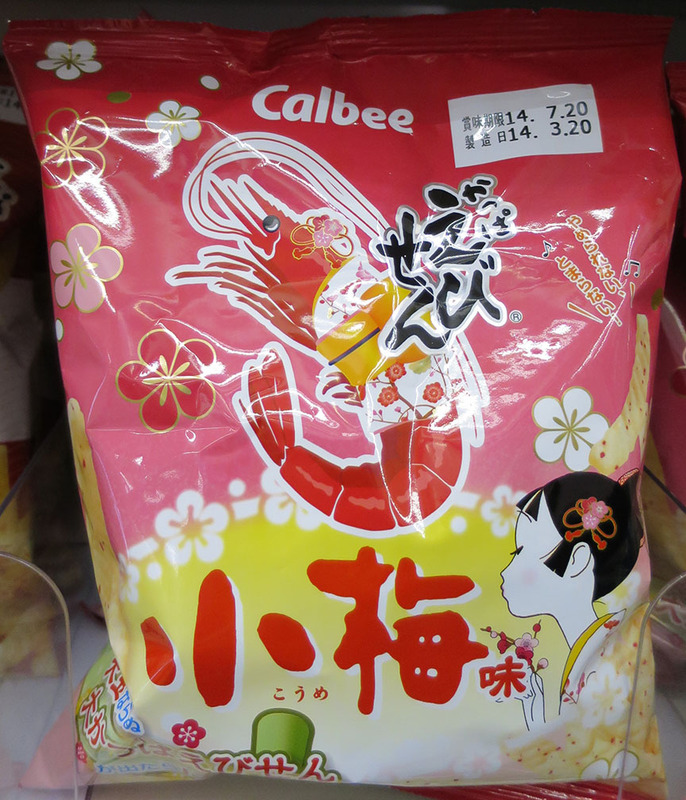 And hey, maybe you know the answer to this: the first one (the shrimp potato chips) says it’s “小梅” flavor, but I thought that referred to the tiny pink shrimp. I now see that they’ve got plum blossoms on the package too, so maybe I’m wrong about that too…?